European Best Destinations has chosen the best year-round in Europe and Madeira is in first place. The voting process brought together cities and countries such as Greece, Croatia, England, Ireland, Spain or France. Portugal is the only country with three cities to receive the stamp of European Best Destinations to celebrate New Year. 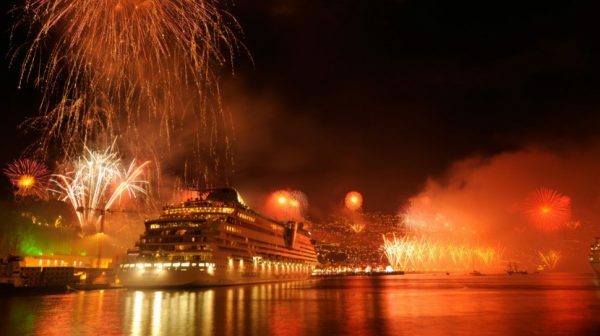 “The views and the incredible fireworks shows make Madeira a better place to spend New Year’s Eve in the world! Add to this the magic of the decorations and lights that decorate the streets of Funchal and has an unforgettable New Year’s Eve package – no wonder, that in Funchal Bay you will find many repeaters in these readings! “, The publication says. He recalls that in 2016, Madeira joined Guinness and is currently the holder of the title of ‘Greatest Firework Show in the World’. The “famous fireworks display, officially recognized by Guinness World Records in 2006 as the largest fireworks display in the world,” it also reads. Check out the other destinations here.